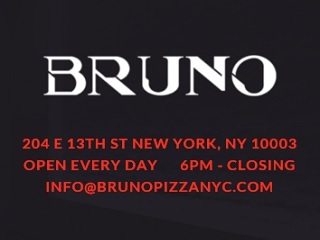 Pete Wells considers the textbook example of Bruno. The latest review by Pete Wells is largely about how the restaurant critique sausage is made. Rave reviews of items that have yet to be sold to a paying customer are less rare than you may think. A restaurant that hopes to get a respectable PR push out of the gate will often make a few of its more striking dishes available for advance photographs and tastings. As soon as the doors open, waves of impressions from bloggers, Yelpers, Instagrammers and others begin to pound the shoreline. Two critics from Eater were among the earliest customers of David Chang’s Fuku, and their “first reactions” were posted about three hours after the first chicken sandwich was sold. The trigger for all this is that Wells has concluded, at this very early stage, that Bruno is not living up to the advance hype. He also lets readers in on the catch-22 of reviews that lavish praise on tasting menus, a springboard from which the Bruno owners benefited.